If you want to practise medicine in the UK, you must register with the General Medical Council (GMC). To register with the GMC you will need to prove you can meet their English language requirements and be able to communicate effectively with patients. This may be demonstrated through either the International Language Test System (IELTS – Academic version) or the Occupational English Test (OET). Head Medical are now working in partnership with Specialist Language Courses (SLC) – the UK’s leading English language tuition specialists. SLC will be able to assist with the preparation for your language test using online courses with blended learning to help prepare you for your exam. How can SLC help me with my exam? The requirements for each exam board differ. For IELTS, you must score 7.5 or higher overall scoring no less than 7 in each of the 4 areas. SLC offer the ‘Online IELTS Preparation for Doctors’ – a course specifically designed to enable doctors to achieve the IELTS score they need to work here in the UK. 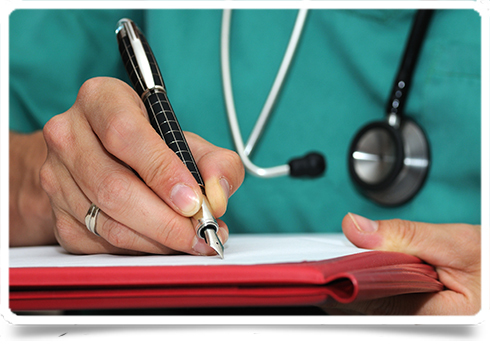 If you decide to study for the OET course, you will be required to achieve a Level B in each skill. The test is designed with an emphasis on workplace situations medical staff might encounter. How can I fit the course around my busy work schedule? Whether you choose IELTS or OET, and whatever your current ability, SLC offer a range of courses that are flexible to fit in with a busy lifestyle. Sessions can be scheduled around your availability, and you can be sure course content and materials are up-to-date as most of them are created by SLC themselves. So, what are you waiting for? Start your journey today and visit SLC’s website to find out which course is right for you. Use code ‘HEAD10’ at checkout and you’ll also receive a 10% discount!